Oh, I do love snuggling up in my duvet and when I moved house and downsized my bed, the bed lining and changed my duvet to a slim soft one - it just didn't feel right! 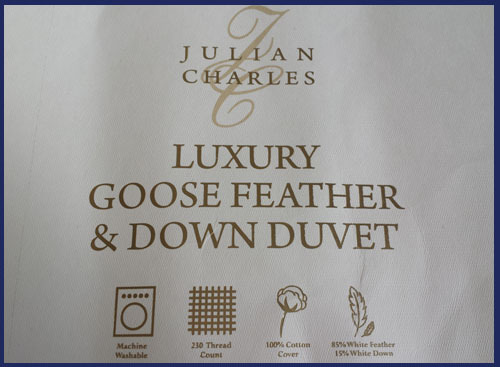 I couldn't quite put my finger on why at the time until the other day when Julian Charles contacted me asking if I'd like to review one of their duvets! 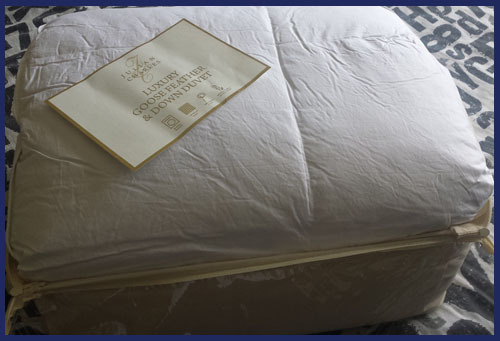 Julian Charles' duvets are very well made, have a good quality feel to them and keep you warm and snug. 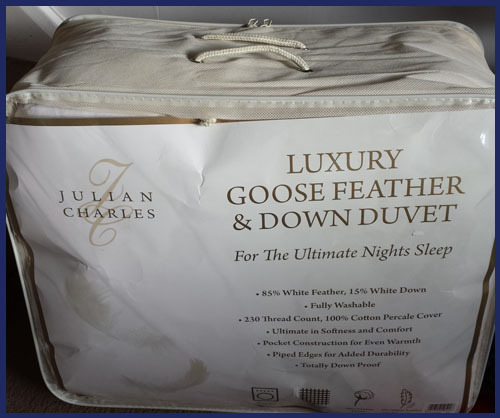 This duvet has a good fill of feathers, it has some weight to it and a lovely rustle sound; once the duvet cover is on it looks all plump and fresh on the bed. I could not wait to get into bed the first night I changed over my duvet - only to find that I got about 30 cm of it that night! The dog went barmy wrapping herself up in it, my partner had his share then that night we had a little visitor sneak in between us and take the rest of it! I was rather put out!! The next night - first in the bed!! Julian Charles prides themselves on luxury bedding, curtains, and soft furnishings and with good reason. The product does indeed feel luxurious from the packaging to being hidden away inside a duvet cover. I'm really pleased with my duvet and I have already bookmarked some thermal curtains for our dining room ready for the winter! 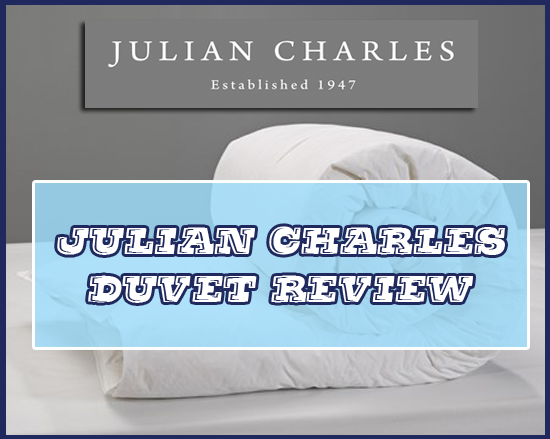 I received a duvet from Julian Charles to review.